Emerald Star’s boat charters in Ireland and Shannon River cruises are a stunning way to relax, have fun and experience the beauty of nature. 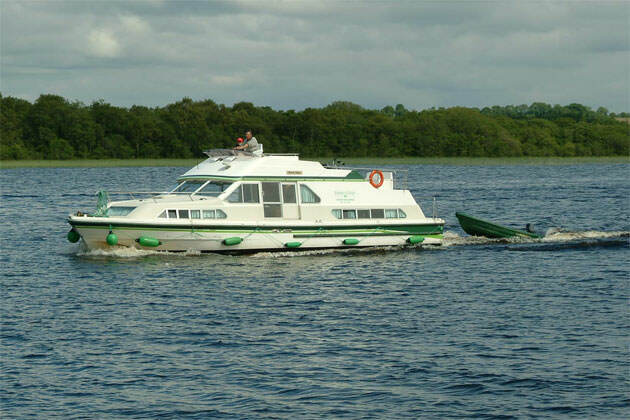 They offer a number of different self drive cruises around Ireland and a range of boats to suit your needs. Three cruiser base stations are located along the waterway with the main station located in Carrick-on-Shannon. Along the way you will be able to see centuries-old monastic settlements, lush landscapes, dramatic scenery and delightful small villages. The rivers Shannon and Erne and surrounding lakes are an angler’s paradise, well-stocked with salmon, pike, bream, and perch. There are championship golf courses close to the waterways, ancient religious sites in Clonmacnoise near Shannonbridge, Portumna’s National Park and 17th century castle, countless bars, restaurants and traditional Irish pubs with lively Celtic music to welcome passengers ashore. All the villages have easily accessible landing stages. From Carrick-on-Shannon, the hub of the waterways, there is something for everyone. Fishing licence and dinghies are available on supplement at the base stations. Emerald Star’s experience, expertise and knowledge of the waterways means that whether passengers are an experienced ‘sailor’ or new to boating, they can bank on high standards of service and support before, during and after their holiday. Their staff will be delighted to advise passengers on their itinerary.